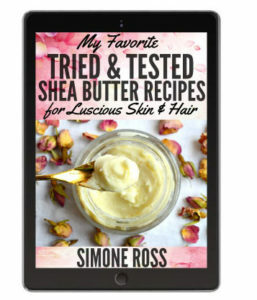 Shea Butter Almond Oil Body Butter Recipe for Gorgeous Skin - beautymunsta - free natural beauty hacks and more! 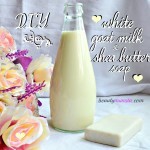 Make a shea butter almond oil body butter recipe for gorgeous skin! 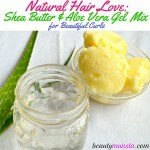 This shea butter body butter recipe uses only 2 main ingredients: shea butter and sweet almond oil! Sweet almond oil is one of the best oils to mix with shea butter because of its light and easily absorbable consistency. It’s not like the heavier oils such as coconut oil or olive oil that can rather leave a slight greasy coat on the skin/hair. 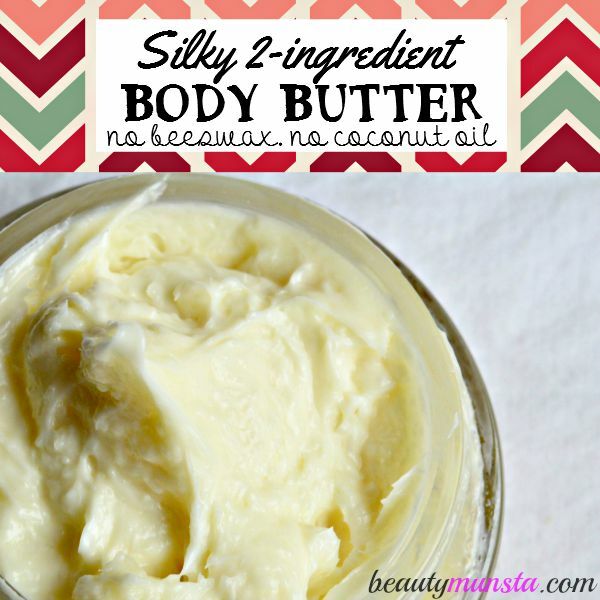 To me, this shea butter almond oil body butter recipe is perfect with just two skin healing ingredients, however, you may add optional ingredients such as essential oils like the one I’ve listed below to enhance this recipe! 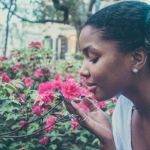 Wanna know the best essential oils for shea butter? 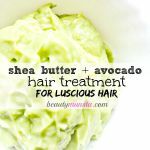 Go through my easy shea butter and essential oils guide! Native to Africa, shea butter is got from the Karite tree and has been used since ancient times to moisturize skin and hair, treat inflammatory skin conditions and protect the skin from environmental damage. It is rich in vitamins A, E, F and K making it a skin nourishing and healing ingredient. Did you know that shea butter has so much vitamin A that it can be called a vitamin A cream all on its own! ➝ Sweet Almond Oil – Sweet almond oil is rich in unsaturated triglycerides that lubricate and moisturize skin of all types without clogging pores. It’s also rich in vitamin E, a powerful antioxidant that delays premature wrinkles and fine lines as well as maintains the skin’s elasticity. Sweet almond oil has a light consistency, which is why it’s a great oil to be mixed with shea butter in a body butter recipe. It also doesn’t leave a greasy layer on the skin when applied since it is easily absorbed into the skin. ➝ Sandalwood Essential Oil – Extracted through steam distillation of the aromatic bark of sandalwood trees. It’s a bit pricey but one of the first essential oils I chose to buy because it’s extremely good for sensitive skin! It also has a beautiful woody and warm scent as well as helps fight skin allergies due to its antibacterial properties, increases blood circulation in the skin and is moisturizing! Sandalwood also blends perfectly with shea butter as well to form a sensational smelling body butter! 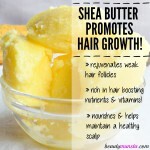 Soften the raw shea butter by placing it in a heat safe container on top of a pan filled with a few inches of water. Heat on low to medium flame. Important: Do not melt the shea butter but let it soften so you can easily mix it. Keep stirring it, as it softens up, with a spoon. Once softened, turn off the heat and add the sweet almond oil. Use a hand mixer to start mixing the ingredients for about 3-5 minutes or until well mixed. By this time, it should be creamier and almost white in color. Scrape down the sides of the bowl with a plastic spatula. Add 7 drops of sandalwood essential oil and whip again for a minute using the hand mixer or spoon. That’s it! Spoon your homemade shea butter almond oil body butter into a sterilized jar or container and store in a clean dry place. Don’t have a hand mixer? Try using a small blender to mix your ingredients! Don’t over blend though, as the heat from the motor will melt down the shea butter. It will take only 3 to 10 seconds to get well mixed. Add any other skin loving ingredients of your choice! For a thicker and ultra moisturizing body butter, add coconut/olive oils and for a non-greasy body butter, add aloe vera gel/witch hazel and a tsp of cornstarch/arrow root starch!